Each month, the editors select their favorite entries in fine art (paintings, drawings, sculpture, illustration, etc.). Thanks to all who shared their work. CLICK ON IMAGES to go to the artists' individual pages. Mary Martha Bennett was born in Parma, Idaho. Mary attended the Columbus School of Fine Arts in Ohio where she studied watercolor with Alice Schille. She graduated from the University of Idaho with a B.A. in art and architecture. After finishing her degree, she worked as a fashion artist for Mode, Ltd. in Boise, Idaho. She met her husband Lt. Robert Bennett during WWII. After the war, Mary Martha and her family relocated to Pocatello, Idaho. She began working as a fashion artist, once again, for Blocks Department Store. 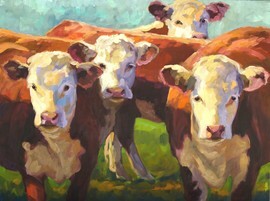 She also returned to her love of fine art and studied with oil painter Don Ricks, a Rexburg, Idaho artist. 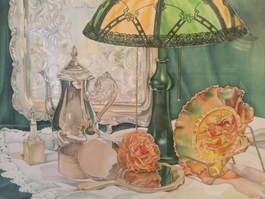 Mary's latest exhibition was held at The Terraces of Boise, a senior living community, where her finely detailed watercolor paintings were showcased. Rosita Larsson is the October '17 Featured Artist. She is an award-winning artist from Stockholm, Sweden. She works mostly in acrylic, watercolor and ink, but she is also a photographer and mixed media artist. She combines elements of art deco, psychedelia, and surrealism in a unique manner. Rosita has been exhibiting her art for over 35 years in both solo and group exhibitions in her native Sweden and elsewhere, including the U.S., UK, Italy, Brazil, France and Bulgaria. She has won many awards for her artwork over the years, including several in 2012 for her botanical and floral photographs. Rosita uses her art to participate in and to aid charitable organizations. Claire Lambe is the July '17 Featured Artist. She is a multidisciplinary artist, writer and educator who was born in Ireland and is a resident of Woodstock, NY. Claire is a versatile artist who is best known for her stunning portraits. She has presented her work in many solo and group exhibitions. For the past year, she has been living and working in Berlin and is part of a two-person exhibition at Wissenschaftskolleg zu Berlin: (WIKO), Berlin’s Institute for Advanced Study. She is an instructor for the historic Woodstock School of Art and writes for Roll Magazine. Sarah Webber is a painter from Tucson, AZ. Her work has been included in numerous museum and gallery exhibitions, and Southwest Art Magazine. 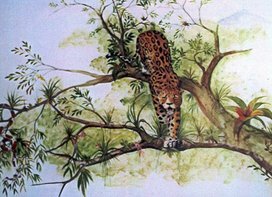 Sarah's animals are painterly but also include an element of realism. She is inspired by beautiful warm color and lively grays, an athletic, chunky brushstroke and strong sense of design. Sarah is a signature member of American Women Artists and an associate member of the American Impressionist Society. Sarah also actively conducts workshops throughout the U.S.
Steph Calvert is an award-winning and published illustrator who lives on a ten acre fixer-upper farm just outside of Savannah, Georgia. She has close to 20 years of experience working as a professional artist. 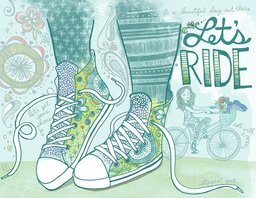 Steph has created illustrations for magazines, and her apparel illustrations can be seen on little girls clothing in Kohl's department stores. Hanne Lore Koehler is the May '17 Featured Artist. She was born in Aachen, Germany and grew up in Ontario, Canada where she resides today. 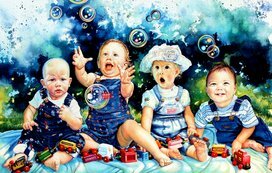 She is a painter as well as an author and illustrator of children’s books. Hanne’s work has appeared on the covers of numerous magazines, including Discover Fort Collins, Holistic Health Networker, The Showcase, Pratiques des Art, and Country Woman. 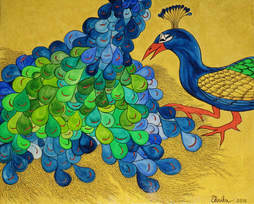 Her paintings have been sold to art enthusiasts in the U.S., Canada, Japan, Britain, Germany, Africa and Australia. Alison Jardine is the March '17 Featured Artist. 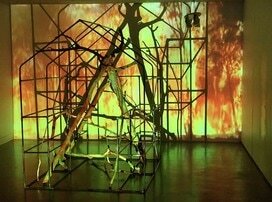 She works in a broad range of disciplines, including new media, sculpture and painting. Alison’s work has earned many notable awards and has been exhibited across the U.S., including Dallas (Erin Cluley Gallery), New York, San Francisco, Connecticut and Georgia. She was commissioned to create work for a social media art project for the London Olympics in 2012, and her digital art has been featured in several art magazines and on television (CBS 11). Her forthcoming book, Make Great Art on the iPad, will be published this summer in both Europe and the U.S. (Octopus Press, Hachette, London). Sally West is the February '17 Featured Artist. She is an award-winning painter from Australia. She received a Bachelor of Visual Communications from KVB College of Visual Communications in North Sydney. 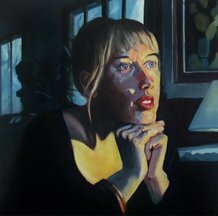 Sally has had group exhibitions throughout Australia, France, London, Hong Kong and Germany as well as several solo exhibitions in Manhattan, Sydney and Melbourne. She has sold her paintings to private collectors around the globe. She has been the winner of numerous awards and is a regular finalist in many prestigious competitions. 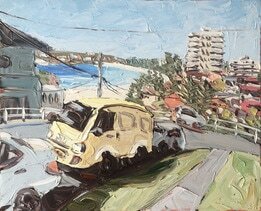 Most recently, she was selected as a finalist in the North Sydney Art Prize (2017). Doreen O'Connor is a muralist based in the Hudson Valley area of NY. Doreen's decorative painting business, called Wildflowers, offers custom murals, trompe l'oeil (fool the eye), faux finishes and many other interesting projects. She has painted fiber glass sculptures, concrete columns, garages, floors, ceilings and furniture. Recently, Doreen has joined other artists in the Hudson Valley area to open their studios for an annual tour (Art East Open Studio Tour) and another group focused on plein air (open air) painting. 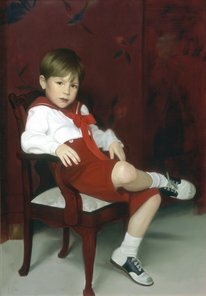 Kathy Coe studied at DuCret School of Art in New Jersey, Pratt Institute and The National Academy of Fine Art and Design in New York, where she worked closely with Dr. Furman Finck, Ronald Sherr, Harvey Dinnerstein and Marybeth Mckenzie. Kathy’s work has captured the eyes of many collectors, including Joan Rivers, Gene Wilder and Charles, Prince of Wales. She has won numerous awards for her work. Besides her acclaimed portraiture, her murals adorn many private residences as well as the Gild’s Club in New York City, a community-based cancer support service in memory of comedienne, Gilda Radner.